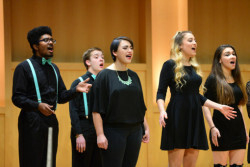 WACappella is Washington College’s Student A cappella group. They will be performing on December 8 at 7:30 pm in Hotchkiss Recital Hall. This is a free concert.